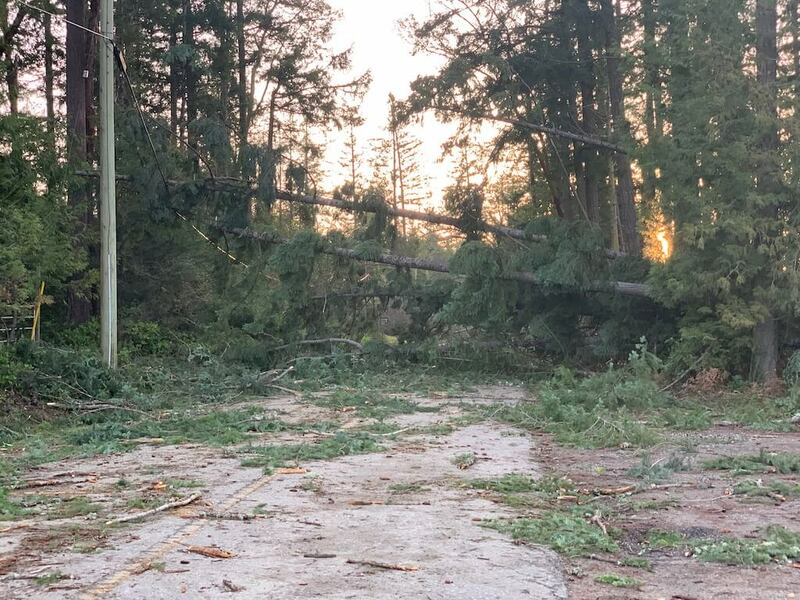 Scroll down to see all current storm photos and the full list of all storm related hydro, water advisory and warming centre updates. Most recent updates are at the top. 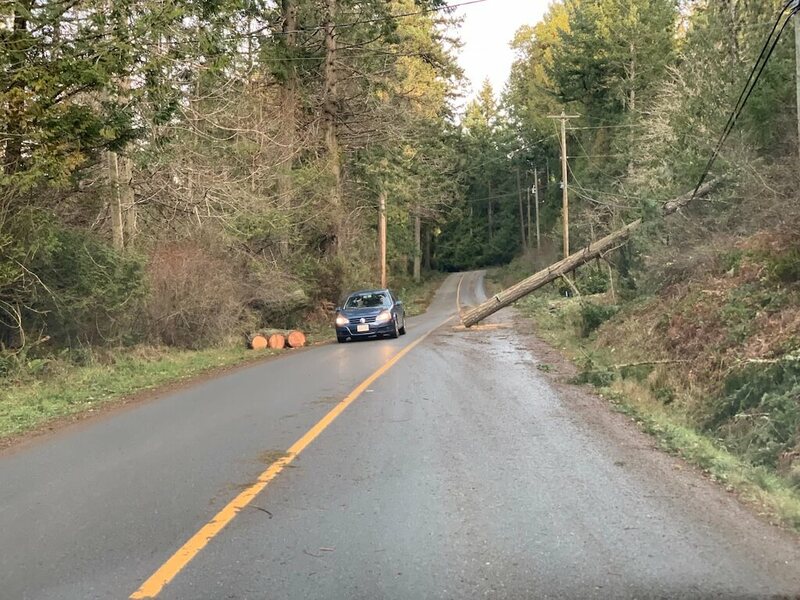 ROAD CLOSURE – 9:40 am Friday, January 4, 2019 – There is a slide at 289 Stewart Road – Road is closed. 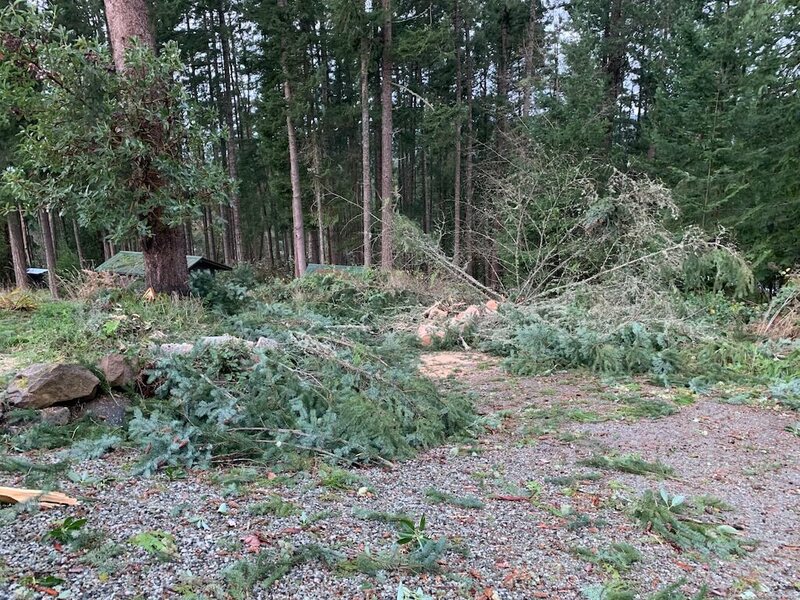 People living 289 and higher can access their driveways from Beaver Point Road.People living 289 and lower can access their driveways from Cusheon Lake side. Update on Boil Water Advisory for Fernwood/Highlands – Jan 3, 2019 11:00 pm – IMPORTANT notice. 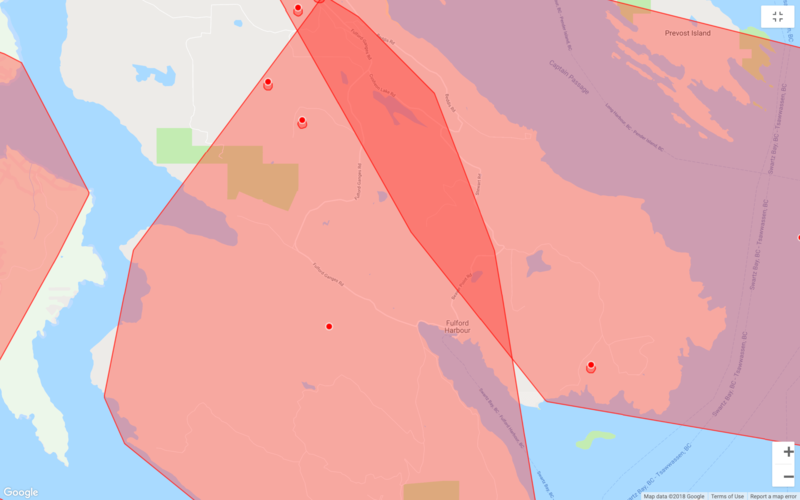 Boil Water Advisory Remains in Effect for Highland-Fernwood Water Service Area (Salt Spring Island). 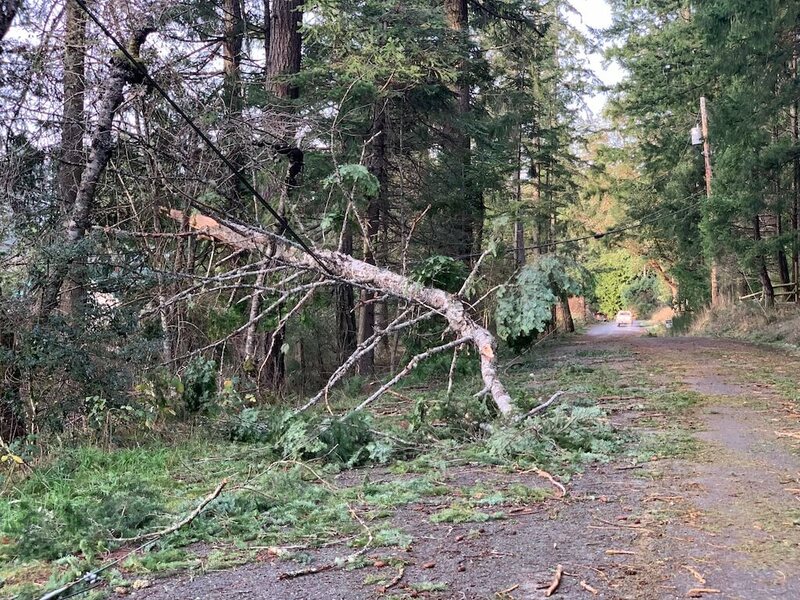 Water system damage and power outages resulting from the wind storm on December 20 caused portions of the Highland-Fernwood Water System on Salt Spring Island to have reduced pressure or no water service. Due to the depressurization, a system wide BOIL WATER ADVISORY was issued December 23 by the CRD in consultation with Island Health. All customers in the service area are advised to continue to BOIL their drinking water until further notice. Hydro power has been restored to the water treatment and pumping facilities and the system repairs are complete. Unfortunately, as the water system was being repressurized, a pressure control valve on the Highland portion of the system experienced a mechanical failure. This resulted in further damage to the system and some private plumbing services. The system is now being flushed in preparation for bacteriological sampling. While the system is repressurizing and when water is available at your taps, the water will likely contain air and discoloured water. You are advised to slowly open the taps and let the water run until the water runs clear. Once the system is thoroughly flushed, bacteriological sampling will be conducted to confirm the potability of the water – at this time, it is expected that this can occur by January 5.The boil water advisory will be removed when Island Health is satisfied that the drinking water does not pose a health concern and issues an ‘ALL CLEAR’ notice, at which time the customers in the service area will be notified as soon as possible. During the boil water advisory, tap water may be disinfected by boiling it vigorously for 1 minute. Boil Water Advisory Rescinded for Beddis Water Service Area – 5:00 PM Wednesday, January 2, 2019. Attention Beddis Water Service Area–Customers in this water service area are advised that the Boil Water Advisory issued on December 23, 2018 is now rescinded. Water sampling and testing is concluded and the water is now safe to consume. Boiling the water is no longer necessary. Roads Update – Dec 31, 2018 10:10 am – Crews working on Langs Road, Trincomali, Channel Ridge / Sunset, and Quebec Drive to Long Harbour. 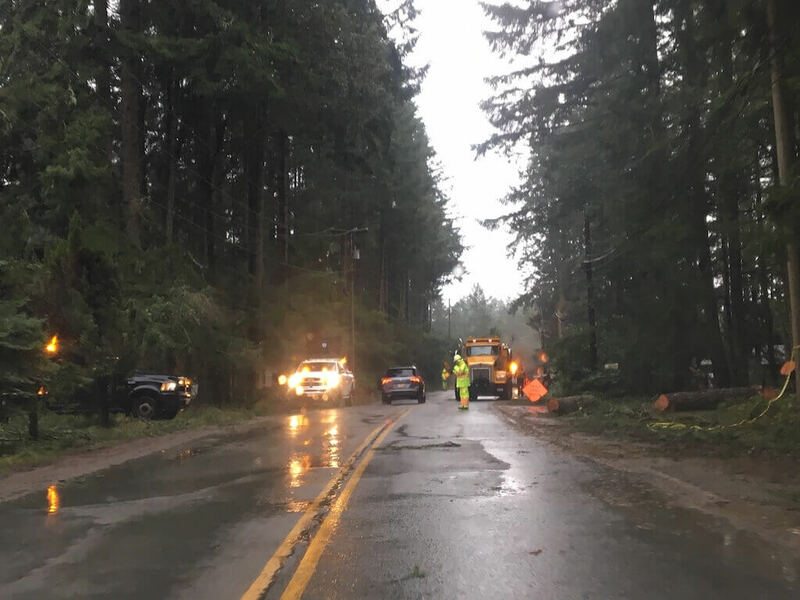 Drive with caution and expect delays and possible closures as the clean up continues. Water Updates – December 31, 2018 11:00 am – BOIL WATER Advisories – The Boil Water advisories are still in effect for the Fernwood/Highlands area and the Beddis/Cusheon/Skyvalley area. While the water may be on, the boil water advisory is in effect until further notice. More information can be found on the CRD website – please continue to check for updates. 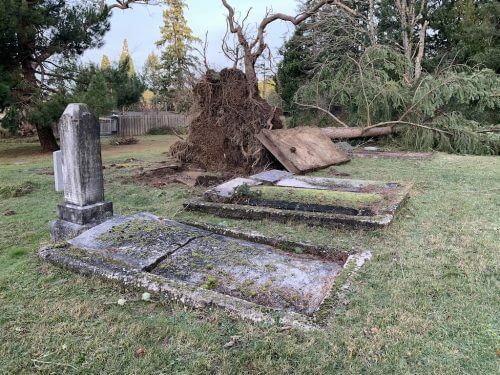 Final Windstorm Update – December 30, 2018 10:00 am – Today, December 30, is the last day of the Warming/Recovery/Charging Centre from 10-4 at the Public Library. After today there will still be a board of information posted at the library resource centre and WATER for pick up – just sign the sheet if you pick some up. PODS – many people have inquired about the POD program (Neighbours helping Neighbours) over the past 10 days. If you are interested in participating or being more involved in the POD program, we are always looking for POD leaders and neighbourhood leaders – some areas do not have anyone who has volunteered. Please email ssiepc@crd.bc.ca with your name, contact info and street. We will get back to you in the New Year. Watch for more information on this. 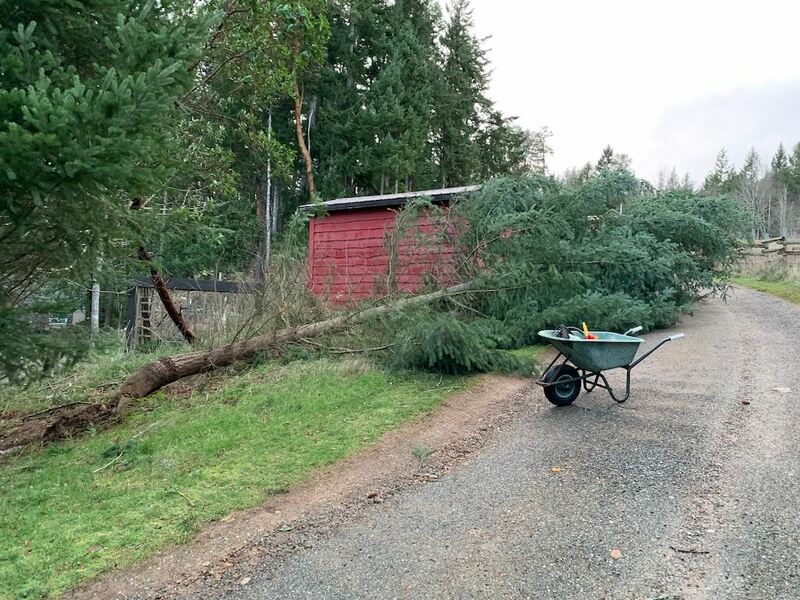 Damage Assessment – we are still looking for information on damage estimates for structures (houses, barns, sheds, etc.) and vehicles. 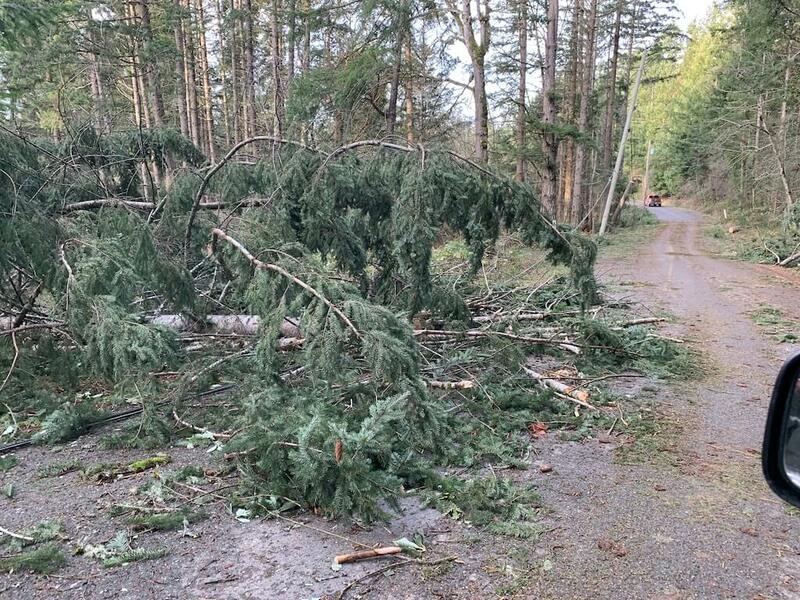 This will be used by CRD and the province to assess the extent of the damage from the storm. Please email ssiepc@crd.bc.ca with your information. Food Waste – please take your food waste to Laurie’s, not the Blackburn Transfer Station. The Transfer station cannot handle food waste. Roads – the roads will continue to be cleaned up and you may encounter delays or road closures. Please continue to drive with caution. Any other questions or suggestions please email ssiepc@crd.bc.ca. And please be patient for a reply as we are getting many emails right now. THANK YOU to everyone! 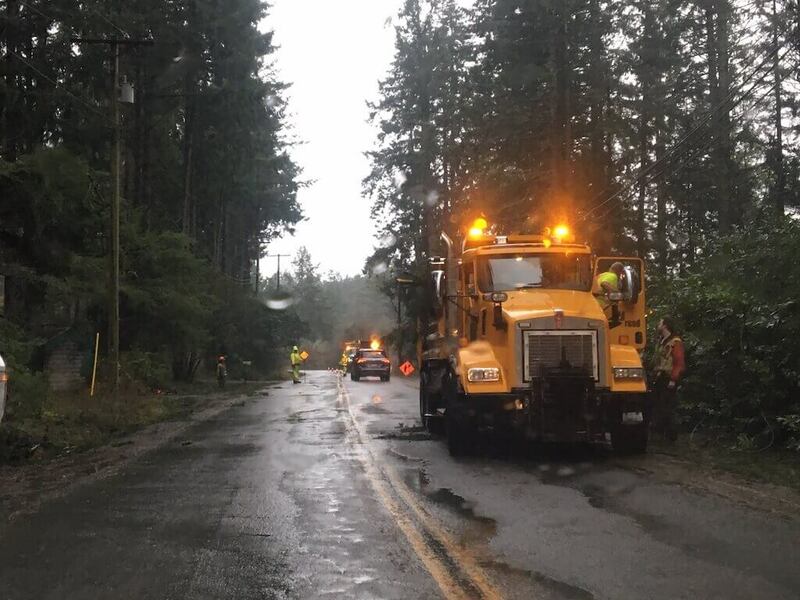 There are so many great stories we’ve heard of people helping each other, the crews helping with the roads and infrastructure, the responders helping people, agencies helping out, businesses supporting the community and so much more. We cannot list them all! Roads Update – Dec 30, 2018 9:00 am – Drive with CAUTION. 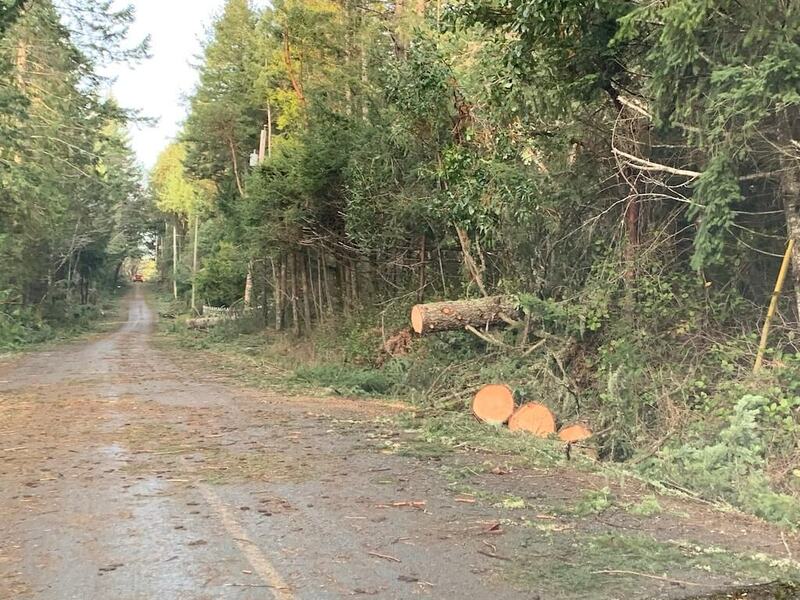 Roads will be closed as crews continue the storm cleanup and there is still mud and debris on many roads. This morning crews are working on Beddis, Eagle Ridge, Quebec Drive, Trincomali and Sunset side roads. 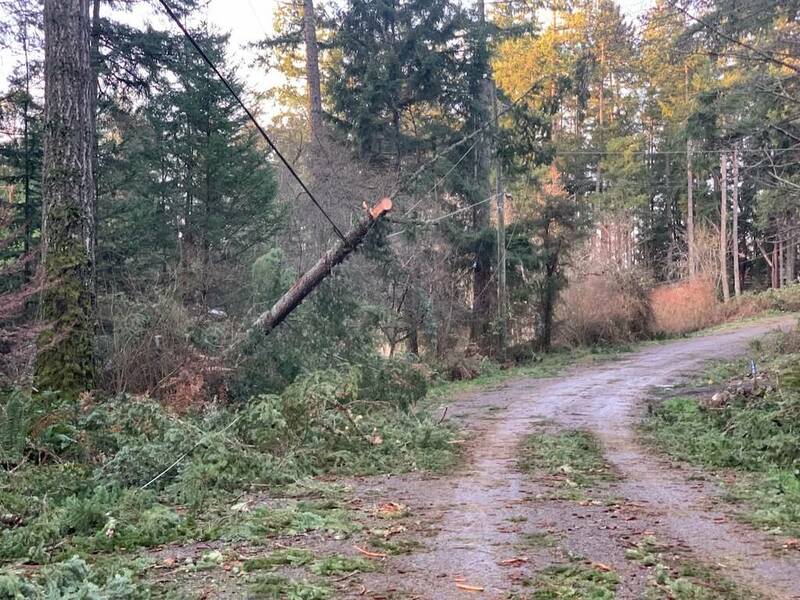 BC Hydro Update – Dec 30, 2018 8:15 am – BC Hydro representatives will be at the library today from 10-4 to answer any questions you may have about outage restoration. There are about 60 outages remaining in 10 separate incidents this morning according to the website. 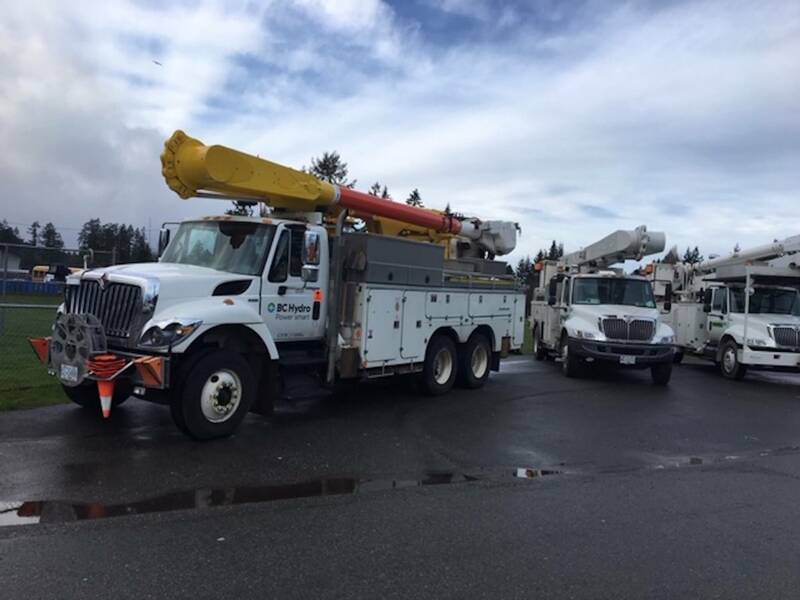 A MESSAGE FROM BC HYDRO: There are approximately 400 BC Hydro and contractor vehicles and associated crew, leaving Salt Spring and Galiano over the next several days. Please be warned that the ferries will be extremely busy as priority boarding will be given to these vehicles. 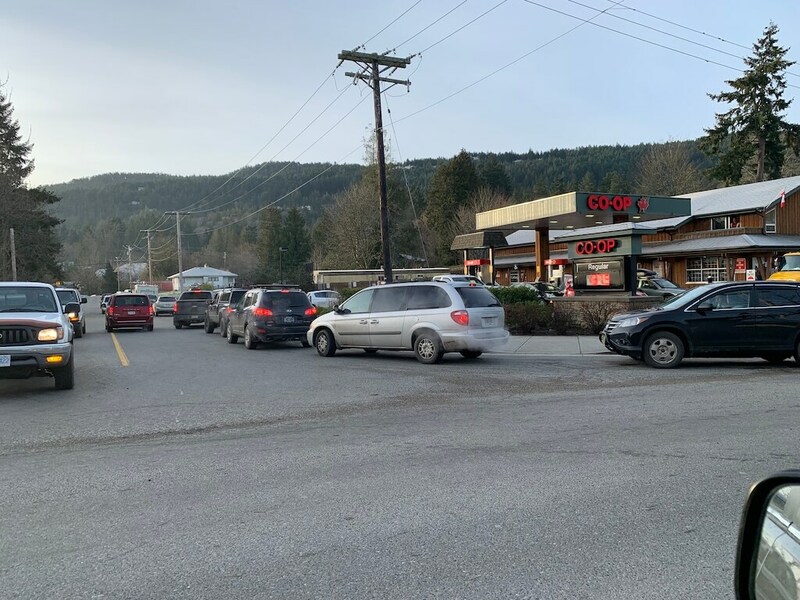 Travel on all 3 SSI routes and leaving Galiano may be very challenging in the days to come. Thank you for your patience. 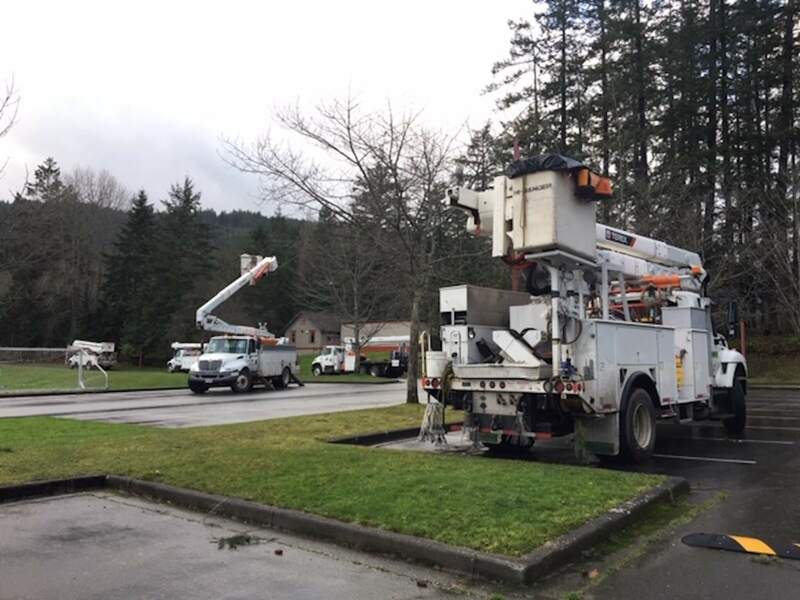 These linemen have spent the holidays here helping repair our power grid. They are exhausted and they are anxious to get home to their families. 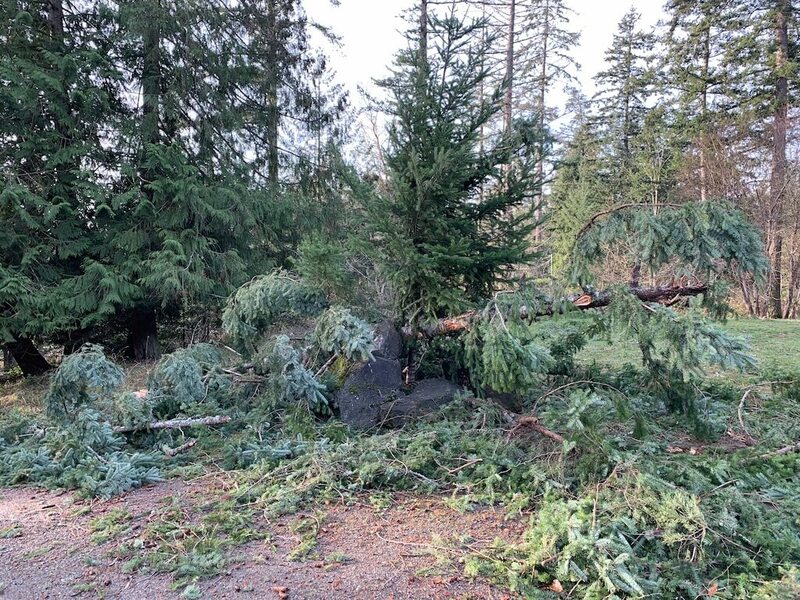 We appreciate the kindness you have shown to everyone who came to help clean up after the storm! 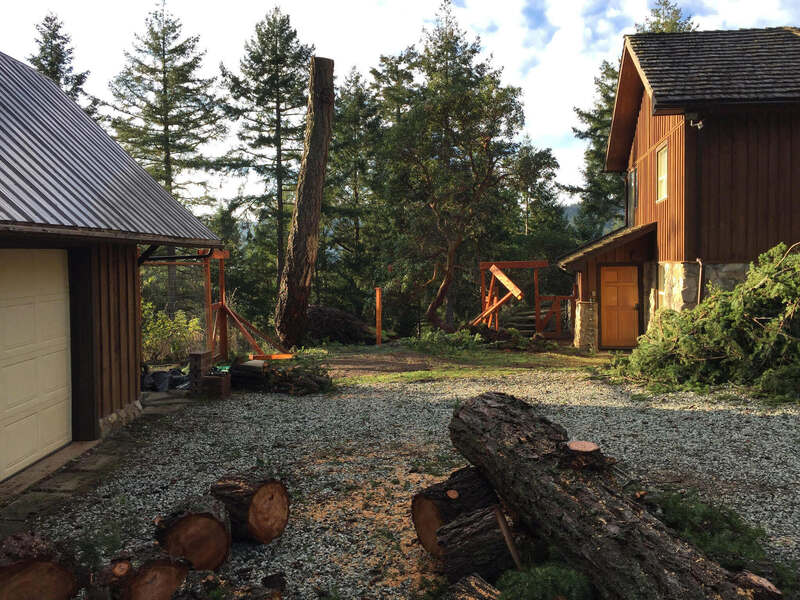 Warming/Recovery/Charging Center – Dec 30 2018 7:00 am – A reminder that the centre has moved to the Salt Spring Island Public Library. OPEN HOURS. Sunday, December 30, 10-4 pm. Coffee, conversation, warming, charging and information and resources will be available. Please come by the resource room on the left as you enter the library. Drinking water in 4 litre jugs is also available at the library for those in the Boil Water Advisory areas or people without power who need clean drinking water. Check in at the Recovery Centre to pick up water. 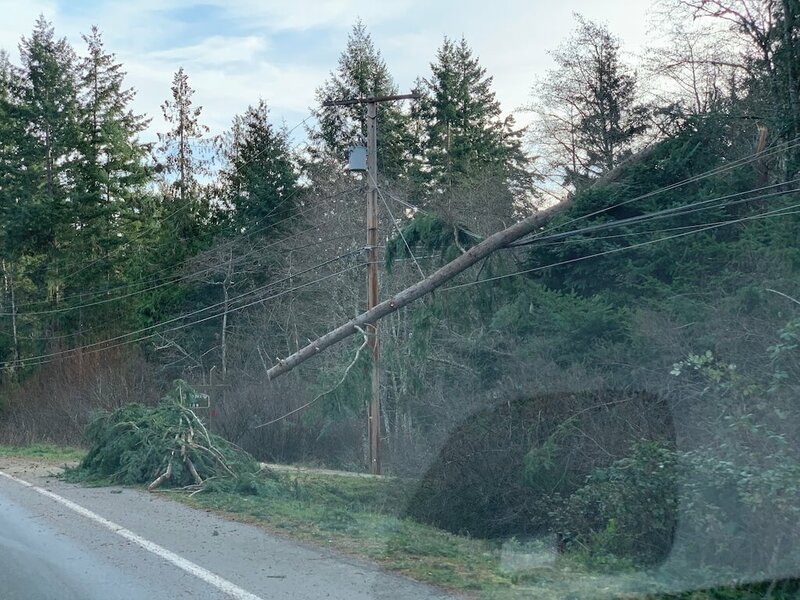 BC Hydro customer representatives will also be at the Salt Spring Island Library on Sunday from 10 to 4 PM to answer questions about outage restoration. 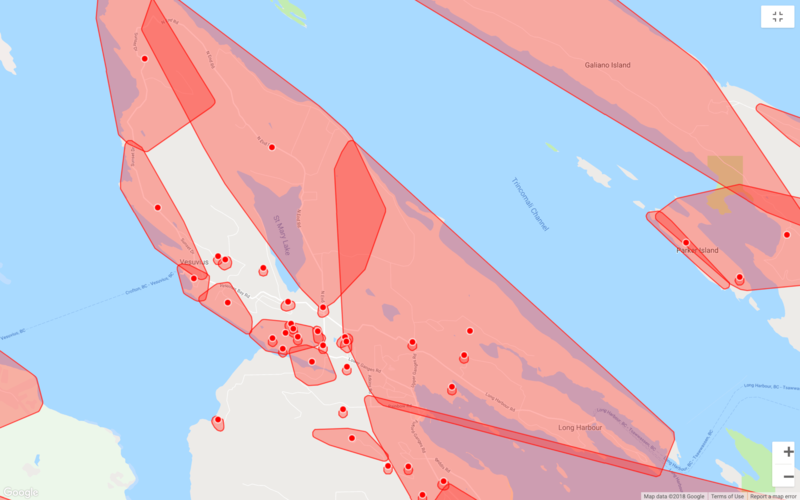 BC Hydro Update – December 29, 2018 8:45 am – From BC Hydro’s outage map and website, there are currently approximately 500 locations without power still and 90 incidents. 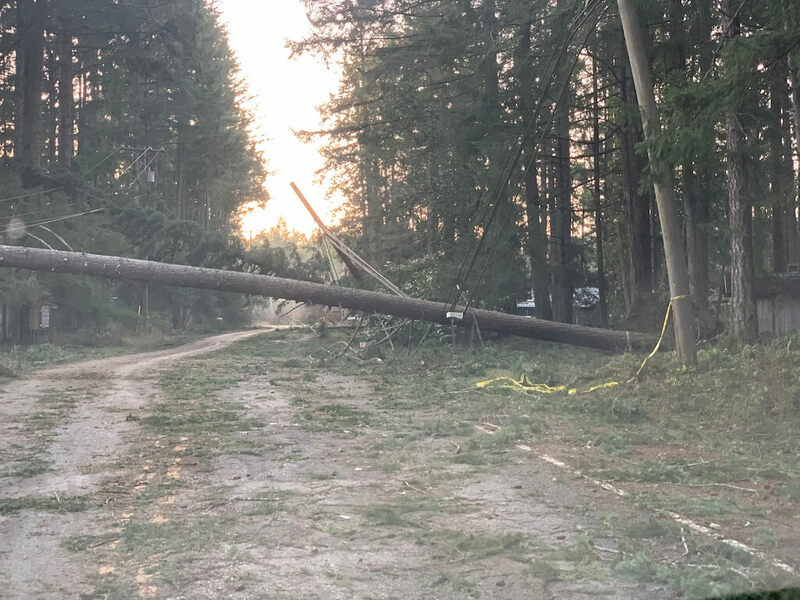 If you are without power make sure that your outage is recorded on your BC Hydro account or on the outage page. You can call Hydro at 1-800-224-9376 if you are unsure. 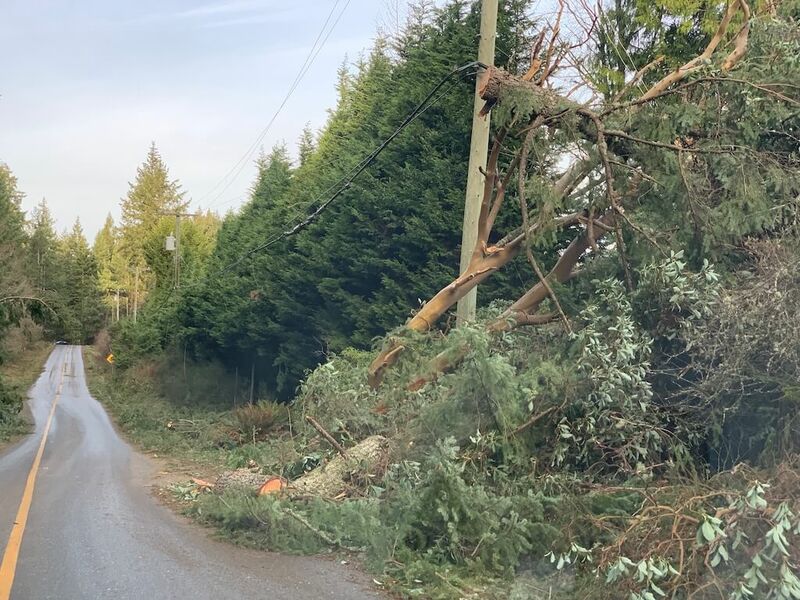 Today, Saturday, Dec. 29, BC Hydro customer representatives will be at the Salt Spring Library from 1-4 pm to answer questions about outage restoration. Also remember, that if the damage is from the metal mast to your meter, you will need an electrician to do the repairs. 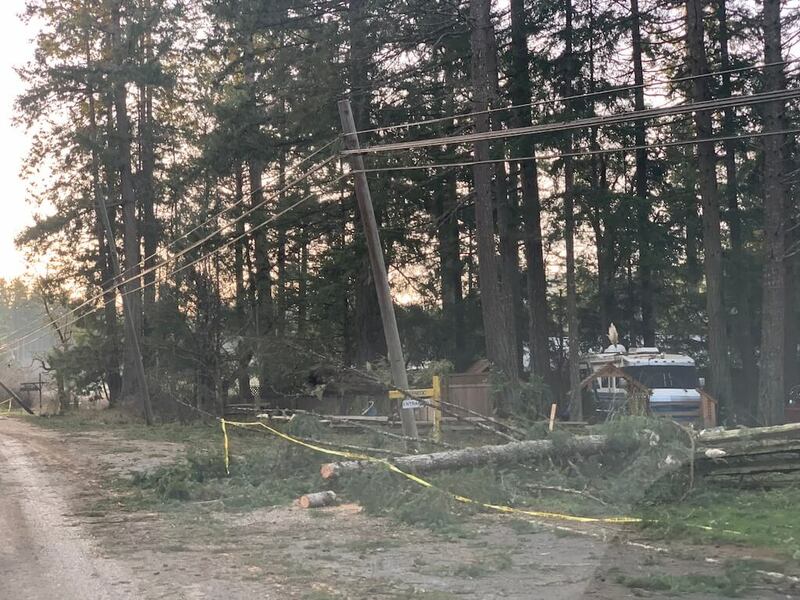 If it is on the Hydro lines to the mast on your property, BC Hydro will do the repairs, but they are working on the main lines first. 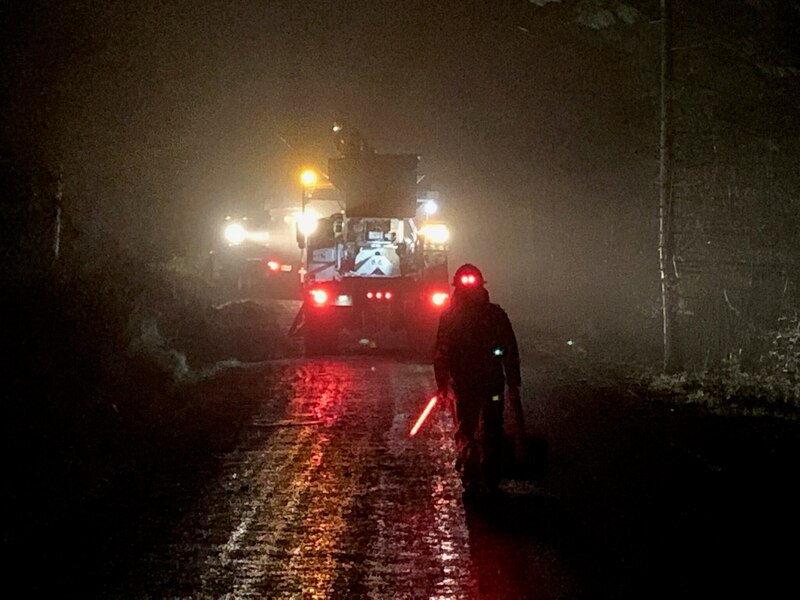 Road Updates – Dec 29, 2018 8:25 am – Mainroad Crews are working on Eagle Ridge, North End Road, Vesuvius Bay Road and Cranberry this morning. Be prepared for closures and slow downs on these routes. BC Hydro Q&A – December 28, 2018 6:30 pm – BC Hydro Reps at the SSI Library, Saturday, Dec 29 1-4pm and Sunday, Dec 30 10-4 pm. 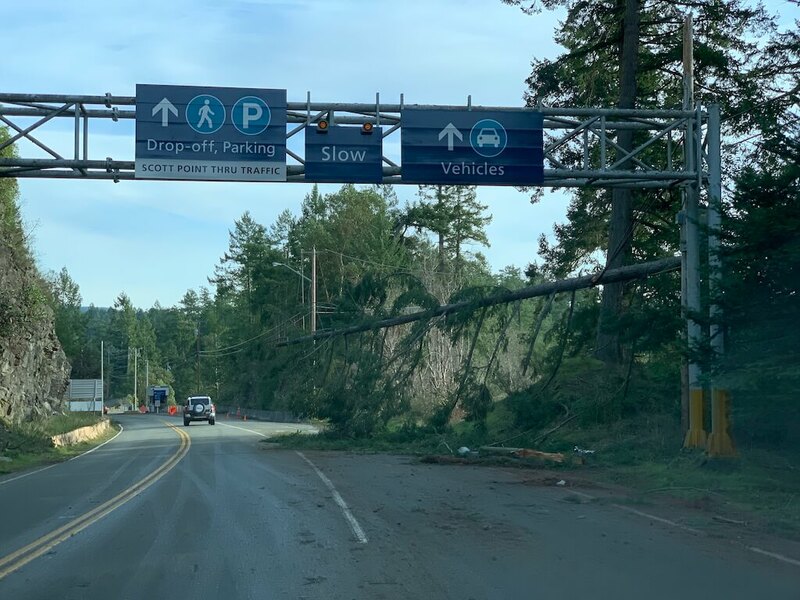 BC Hydro customer representatives will be at the Salt Spring Island Library on Saturday from 1 to 4 PM and on Sunday from 10 AM to 4 PM to answer questions about outage restoration. 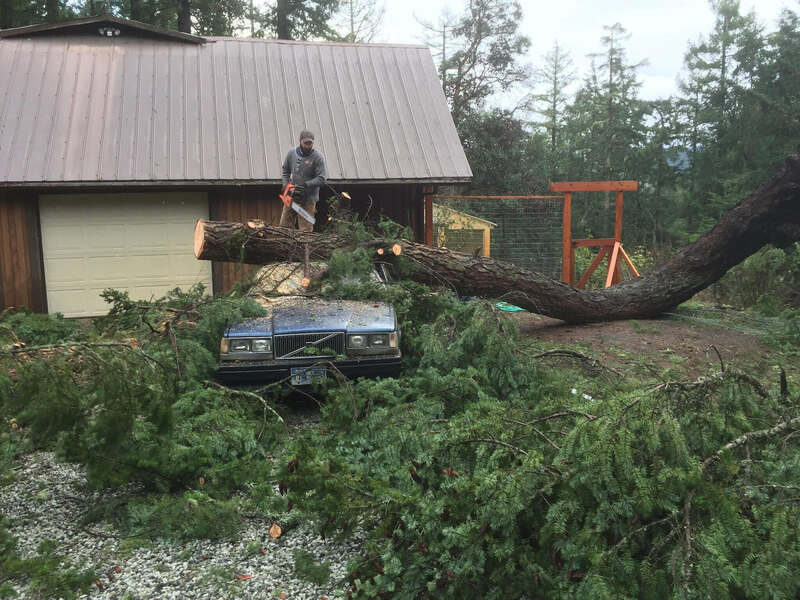 House and Car Damage – December 28, 2018 1:20pm – Damage Assessment. 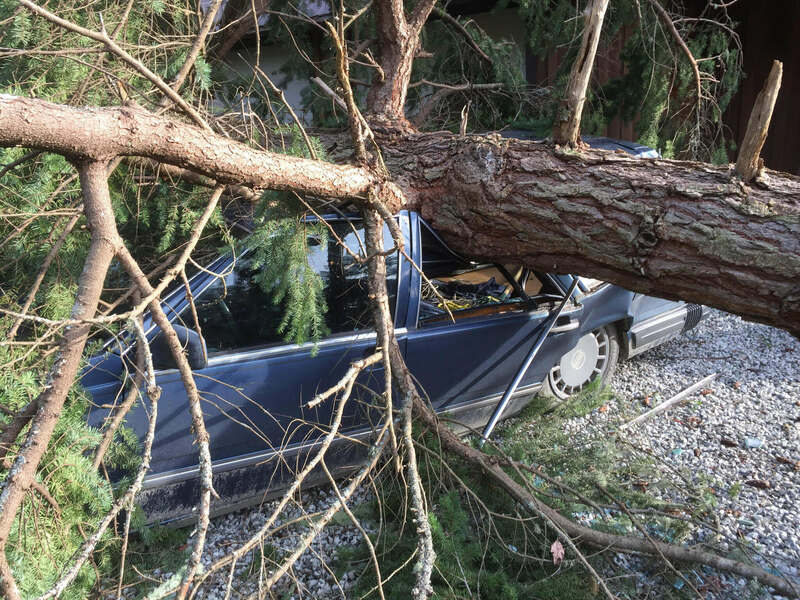 We are looking for numbers of damaged houses and vehicles from the December 20 storm. 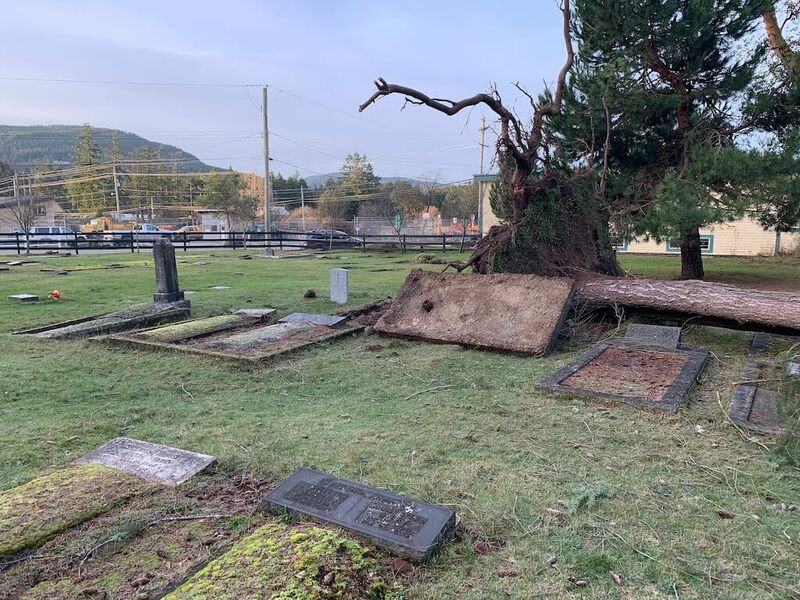 If your house or vehicle was damaged in the Thursday December 20, 2018 windstorm please email the Emergency Operations Centre at ssiepc@crd.bc.ca. 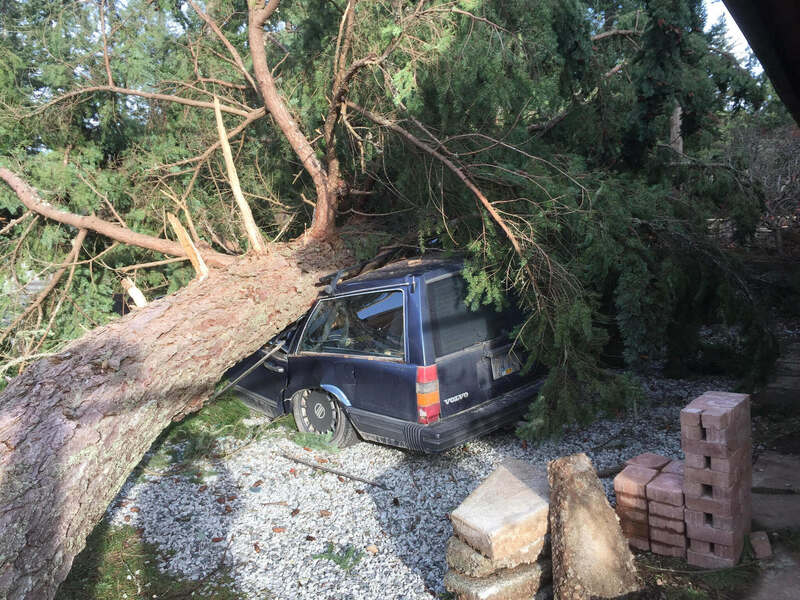 This is for an assessment of the damage the storm caused and is not part of any insurance claims. 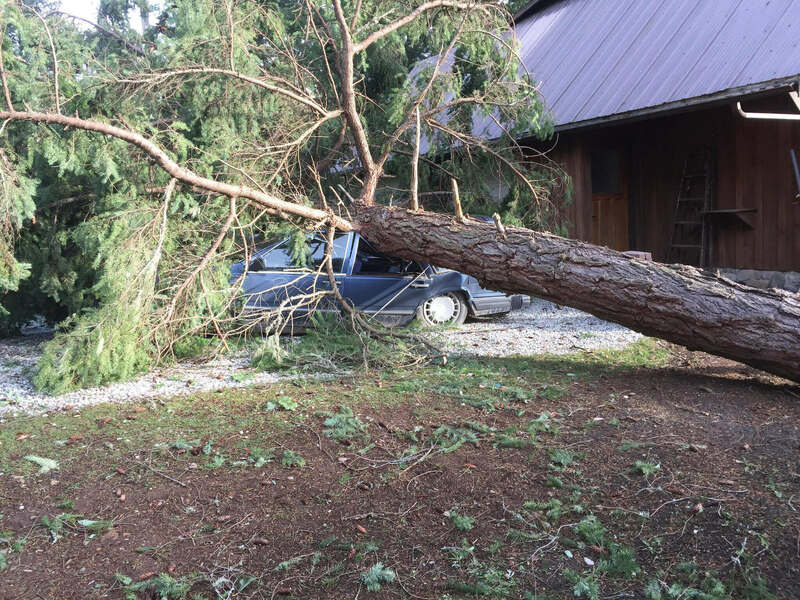 The numbers of houses and vehicles damaged will be used for Emergency Management BC and the Salt Spring Island Emergency Program. Water Update – December 28, 2018 11:30 am – Fernwood/Highlands and Beddis water systems are still under a BOIL WATER ADVISORY. Even if water is on in these areas, water must be boiled until you hear otherwise. Mt. Belcher water system now has power, so all is okay there. All other water systems are working also. If you still do not have drinking water due to lack of power or are under a boil water advisory, water is available in 4 litre jugs at the library in the resource room for you to pick up. Drinking water is also available at the Harbour Authority building at the Centennial Dock. Bring your own container to fill at this location. They are open from 9:30-4:30 daily until January 1, 2018 with this service. Roads Update – December 28, 2018 11:45 am – SLOW DOWN and drive with caution. 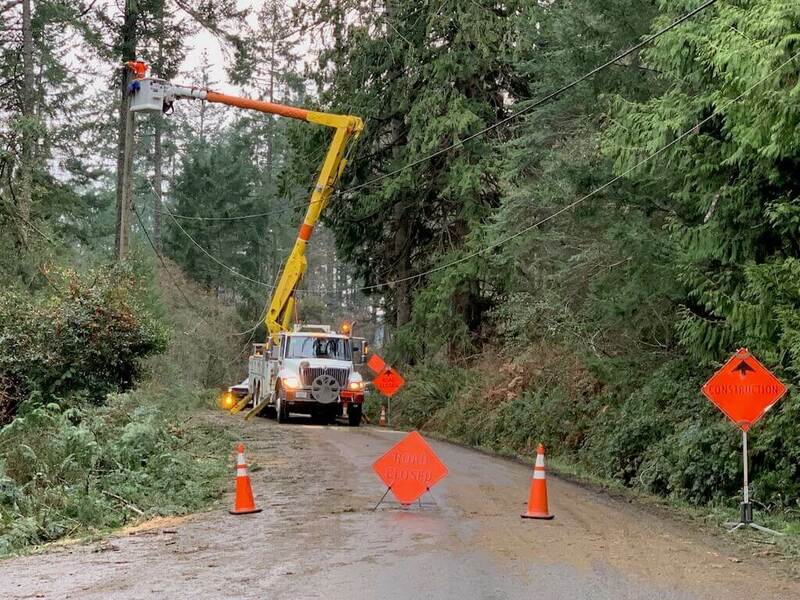 The combination of the weather and crews working, lines and trees still down and mud and debris on the roads makes many roads on the island HIGH RISK. 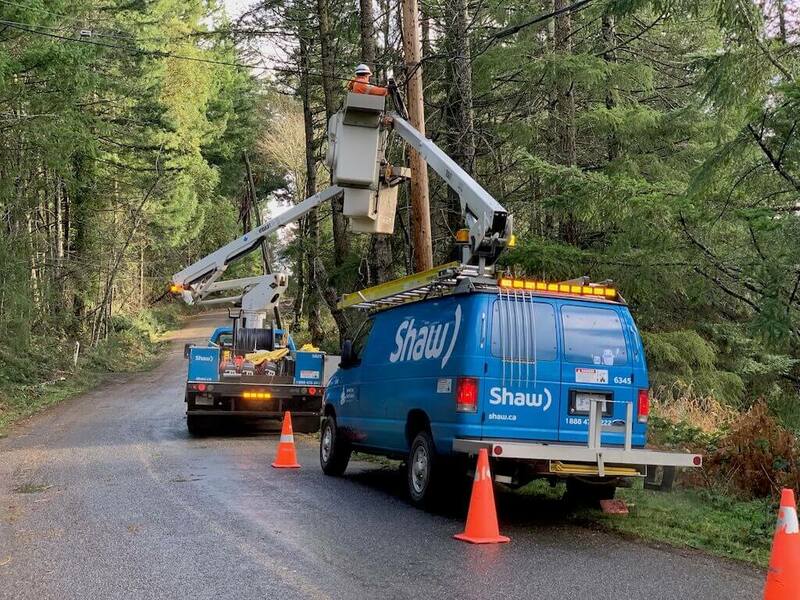 Road work continues with MainRoad and BC Hydro crews out today in various locations. 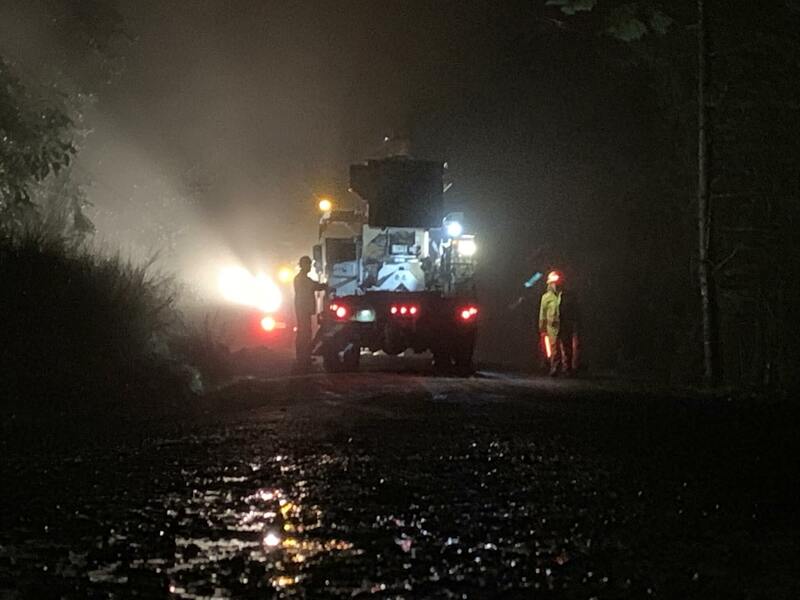 Mainroad is working at Cranberry, Eagle Ridge and Mt. Maxwell this morning. Drive with caution in these areas. This morning crews were also working on North End Road at Cedar Beach, with traffic control and alternating traffic. 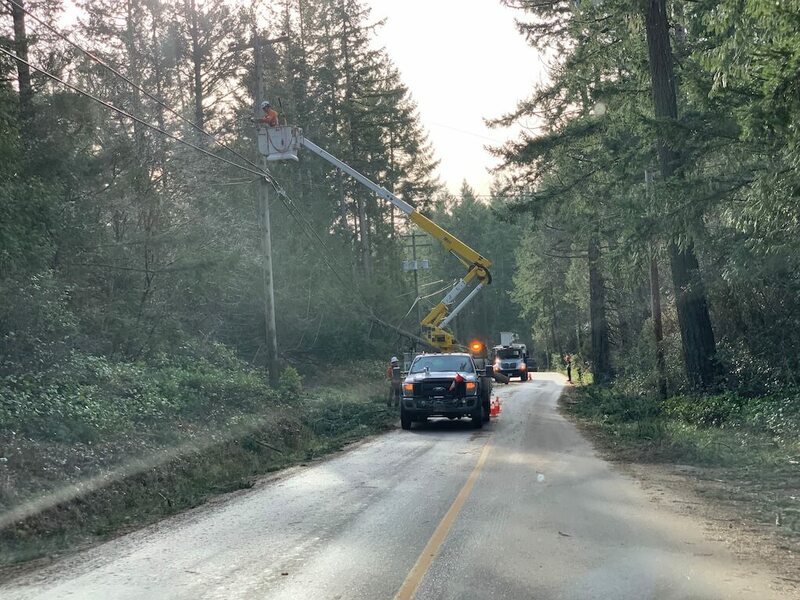 Further up North End Road between Fernwood and Epron, the work crews were gone, but there are still some low lines and one lane traffic in areas. Take care on all the roads. Warming/Recovery/Charging Center – Dec 27, 2018 3:00 pm – On Friday and Saturday, December 28 & 29 the Recovery/Warming/Charging Centre will be open at the SSI PUBLIC LIBRARY 10 am – 4 pm. Coffee, conversation, warming, charging and information and resources will be available. Please come by the resource room on the left as you enter the library. Water Updates – December 27, 2018 2:00 pm – The Fernwood/Highlands and the Beddis water system still have a boil advisory notice – until further notice. Even if you are getting water it MUST be boiled. Other water systems on the island are very low in water so PLEASE CONSERVE – and only use what you need. If you need drinking water, it will be available tomorrow at the Salt Spring Public Library from 10-4 pm in 4 litre jugs. The Harbour Authority is also providing drinking water at the Centennial Dock – please bring your own container. The water will be available at the Harbour Authority until Friday, December 28 at this point. Water Advisory for SGI, SSI & the JDF Small Water Systems – As of Dec 27, 2018 – please continue to limit water use for the Highland-Fernwood and Beddis water systems on SSI due to limited emergency reservoir storage capacity. This advisory applies to the Highland-Fernwood and Beddis water systems on Salt Spring Island. 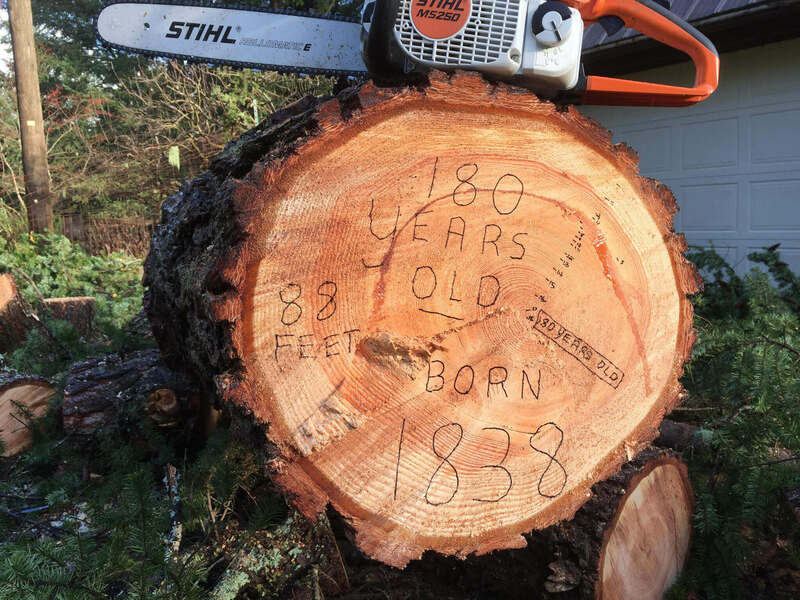 It no longer applies to the Southern Gulf Islands or Juan de Fuca electoral areas. 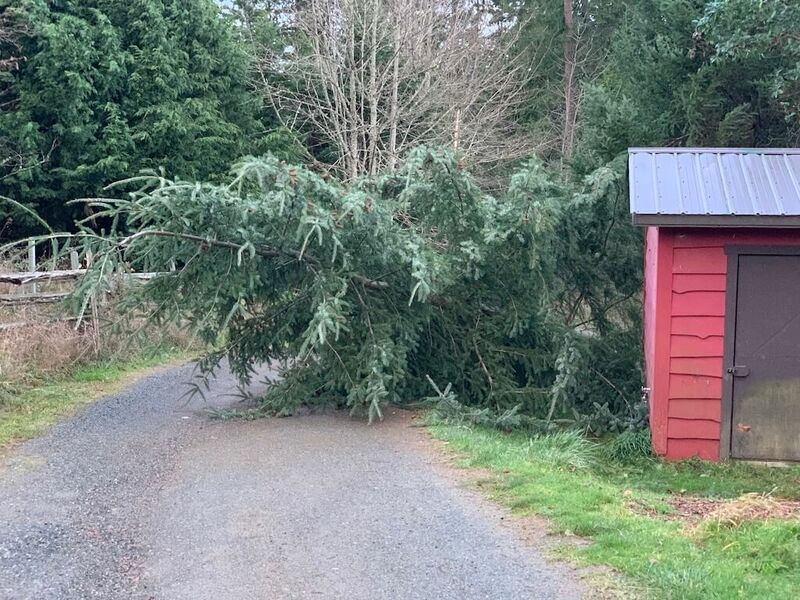 The windstorm and power outages affected the functionality of these two small water systems on Salt Spring Island and they are currently relying on limited reservoir storage capacity while the systems return to normal operation. Please limit your water use. Thank you for your understanding. Road Updates – December 27, 2018 11:30 am – Road Conditions are Extreme – please SLOW DOWN. Many roads are HIGH RISK, but all roads are now passable. There is mud, debris, trees, lines on many roads and conditions are poor. 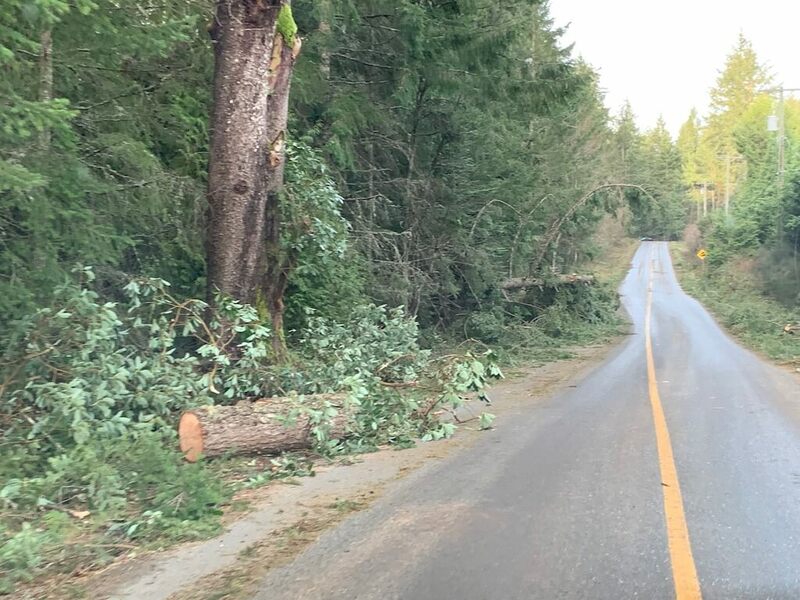 Roads will be closed and there will be delays on some roads as crews from Mainroad and BC Hydro are working on clean-up and repairs through the next days. There are 17 Hydro crews working and 3 Mainroad crews at work today. 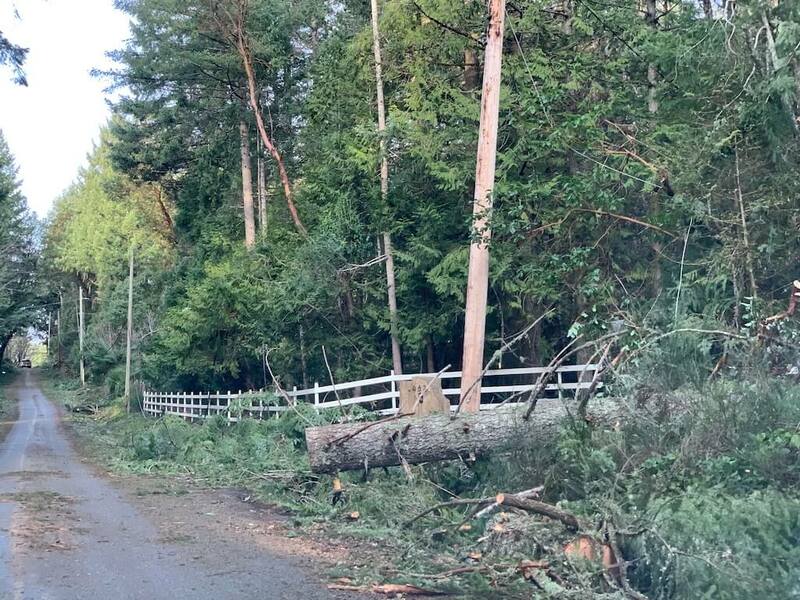 This morning there were closures on Cusheon Lake, Beddis and North End Road – but we do not have schedules of these closures. Boil Water Advisory – 2:58 PM Saturday, December 22, 2018Water Interruption & Boil Water Advisory: Fernwood Water Service – SSI – The Highland Water Service Area is now included in the Highland-Fernwood Water Service Area on SSI that has reduced or no water service. 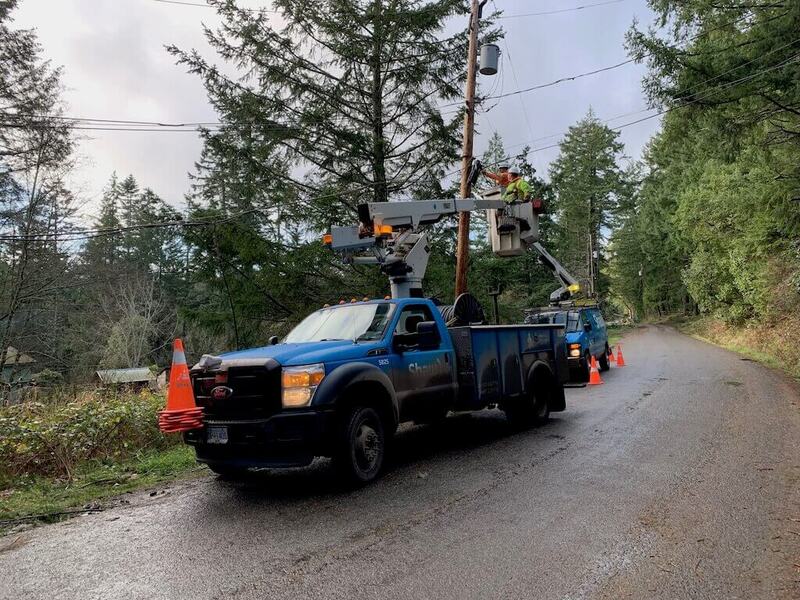 Power outages and damage to the water infrastructure in the Highland-Fernwood Water Service Area on Salt Spring Island has resulted in reduced or no water service to customers in this service area. 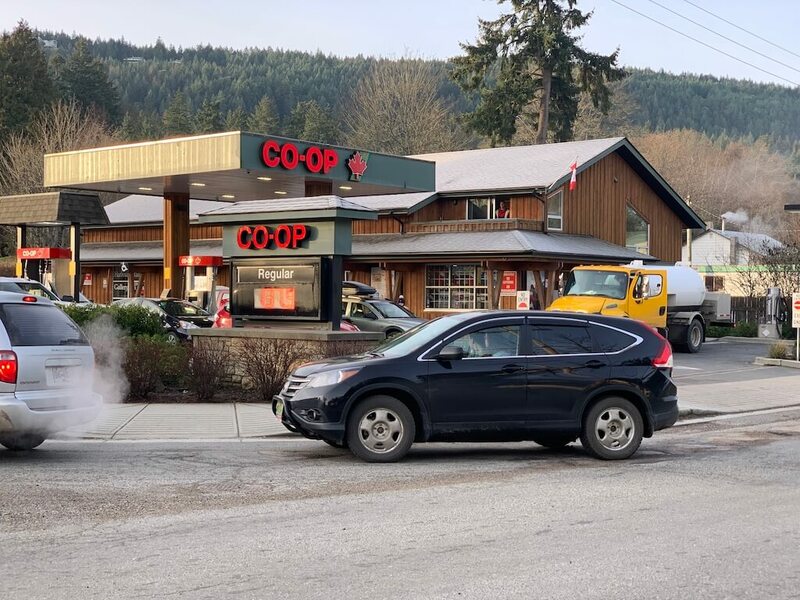 When water service is restored, the CRD Integrated Water Services, in consultation with Island Health, have issued a Boil Water Advisory for the Highland-Fernwood water service and residents in the impacted area should BOIL their drinking water until further notice. 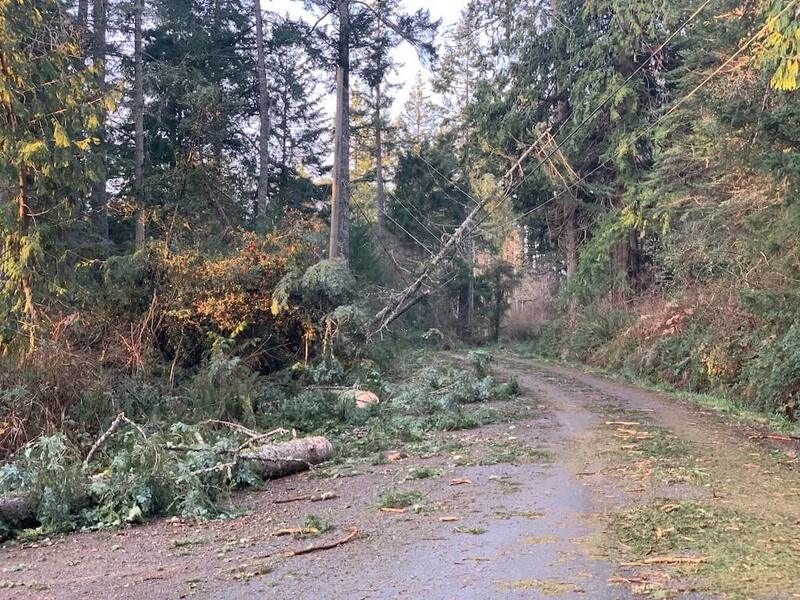 Storm Advisory – Road Status – 7:00 AM Saturday, December 22, 2018 – Next storm on it’s way. This next storm will be much less intense than Thursday’s storm, more of a typical fall/early winter storm. Moderate winds (50-80km/h) are expected to develop late Saturday morning and persist until late Saturday evening. Vancouver Island and the Sunshine Coast will likely see the strongest winds, particularly the northern halves. 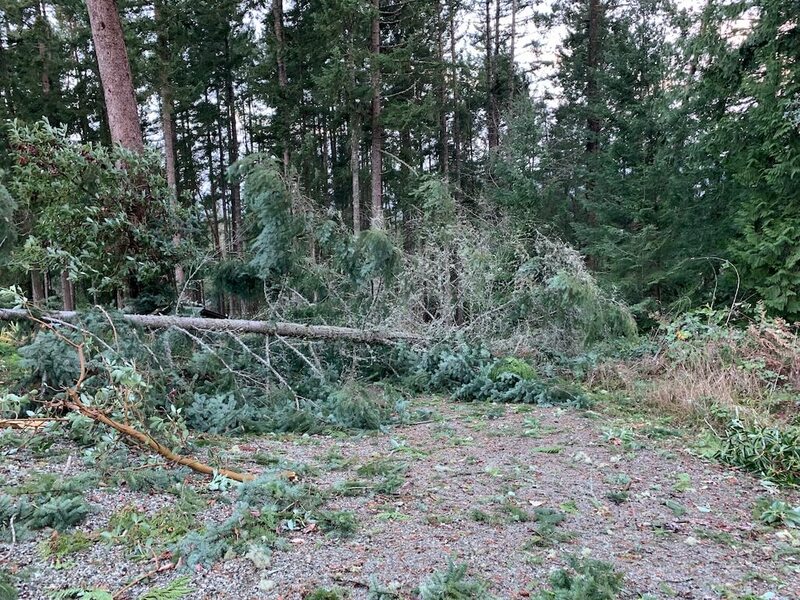 Wind warnings (sustained winds >70km/h or gusts to 90km/h or more) are likely for: Northern half of Vancouver Island, from Nanoose Bay northwards Sunshine Coast, Greater Victoria, the Southern Gulf Islands and southern sections of Metro Vancouver could be close to warning criteria winds. 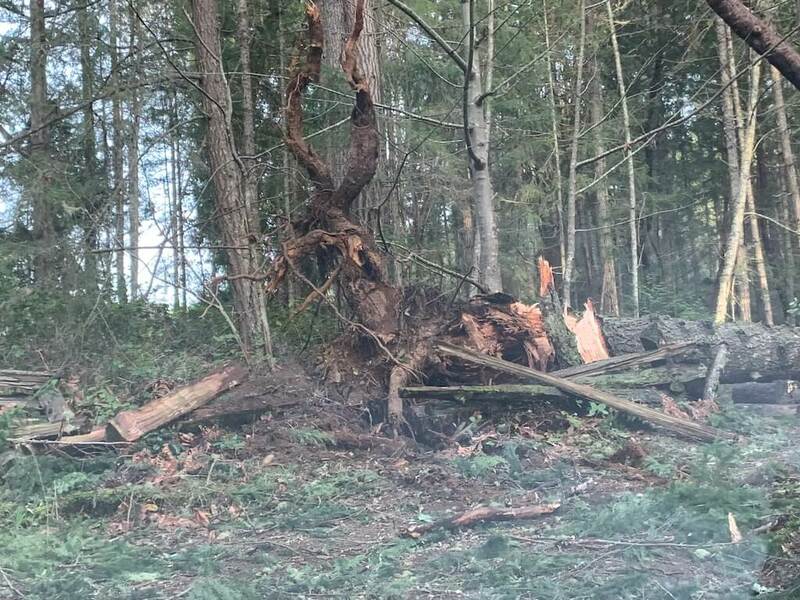 Weakened tree limbs from the previous storm will be prone to breakage. 20181221 Water Alert: Water Advisory for SGI, SSI & the JDF Small Water Systems – Please limit water use due to limited emergency reservoir capacity. 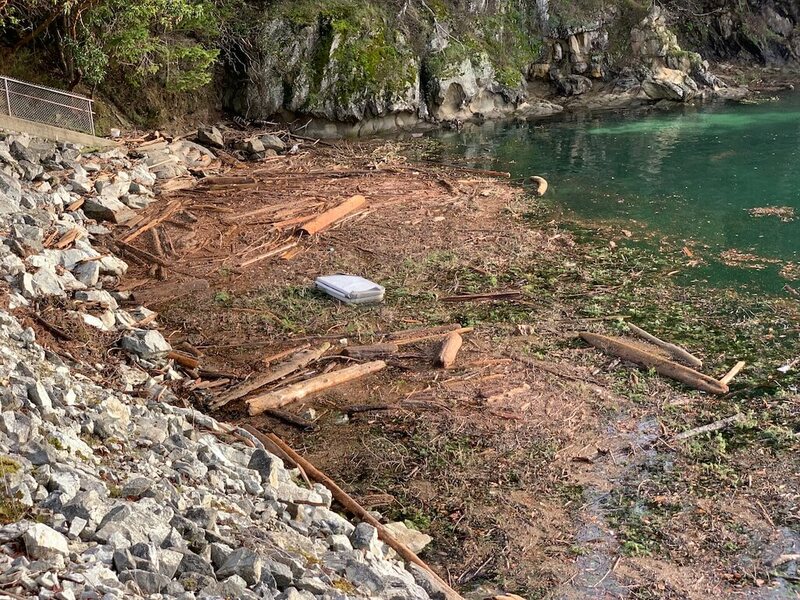 This advisory applies for all small water systems in the Southern Gulf Islands, Salt Spring Island and the Juan de Fuca Electoral Areas, The windstorm and power outages have affected the functionality of most of the small water systems and they are currently relying on limited emergency reservoir storage capacity. Please limit your water use. Thank you for your understanding. 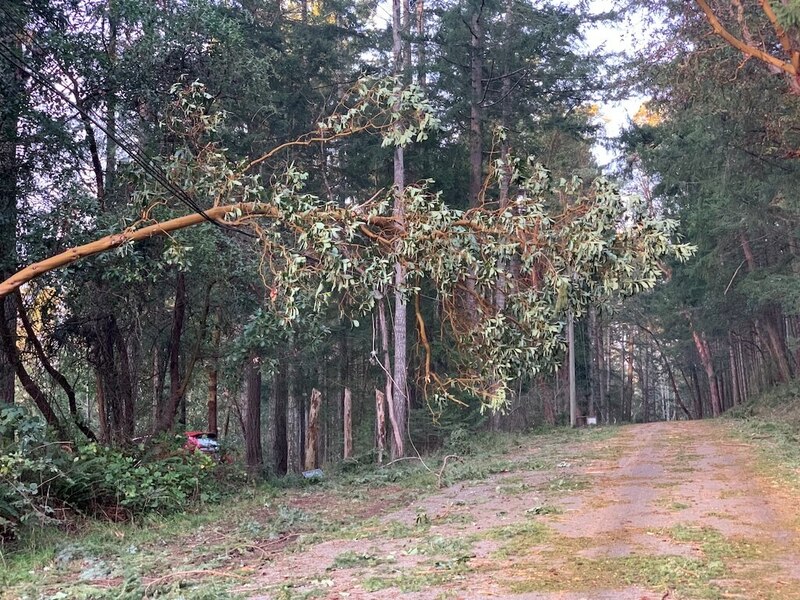 The power outages resulting from the wind storm on December 20 have caused a portion of the Beddis Water Service on Salt Spring Island to have reduced or no water service to their homes. Customers on Sky Valley Road and Lord Mike’s Road will be affected. When water service is restored, the CRD Integrated Water Services, in consultation with Island Health, have issued a Boil Water Advisory for this portion of the water service and residents in the impacted area should BOIL their drinking water until further notice. 20181221 Emergency Status Updates: Road Status – All main ferry routes open. Some roads are heavily compromised please drive with care if you have to. 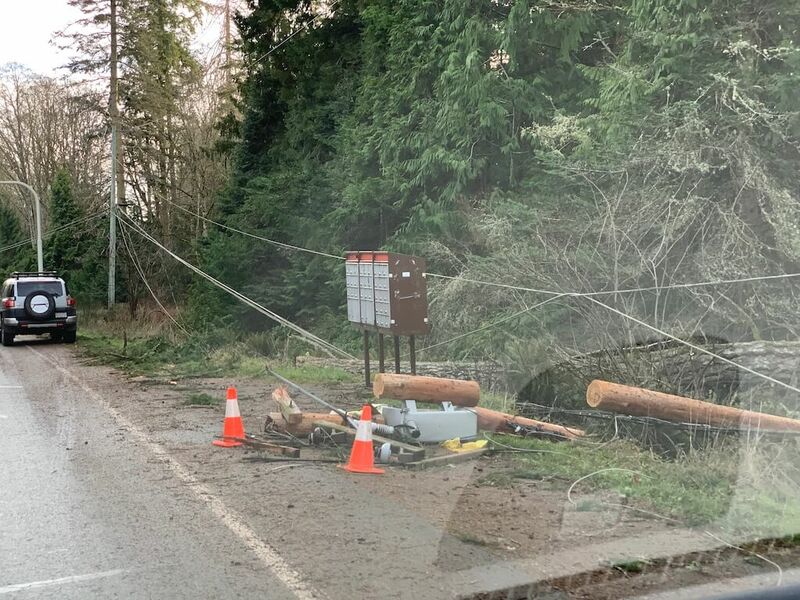 BC Hydro – 6,000 people without power on island. Transit – Fernwood Route not running due to road conditions on North End and Walker’s Hook Road. EOC is still on monitoring. 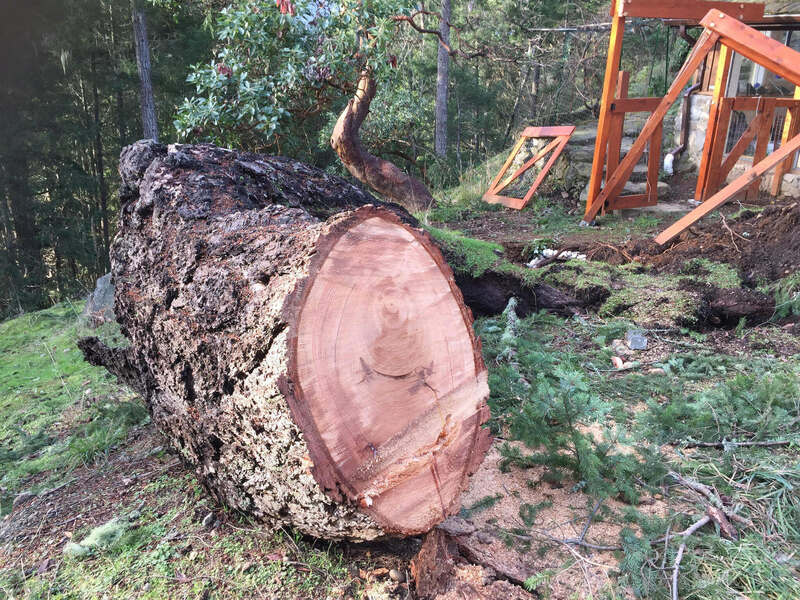 Heavy wind storm has left tremendous and long-term damage all across the island. 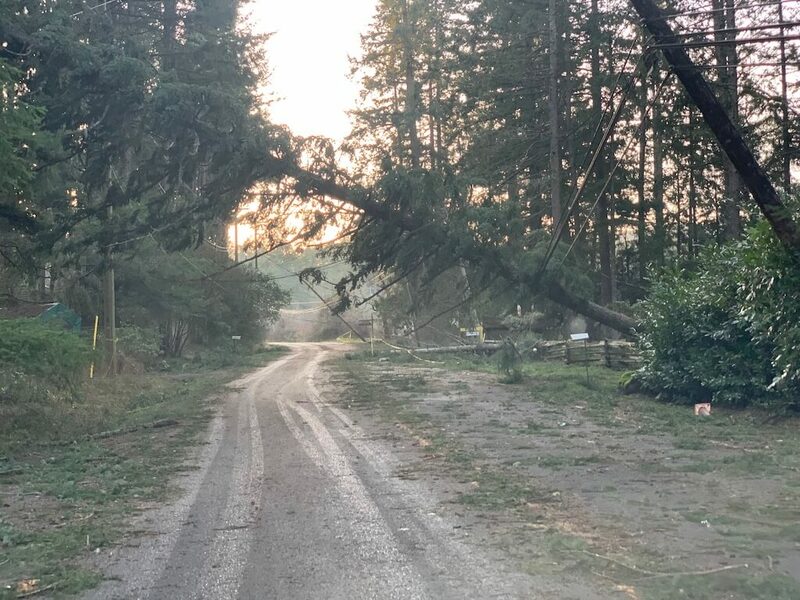 As of this writing most of Salt Spring Island is still without power with many reports of people still trapped in their homes behind fallen trees and power lines blocking driveways and roads. 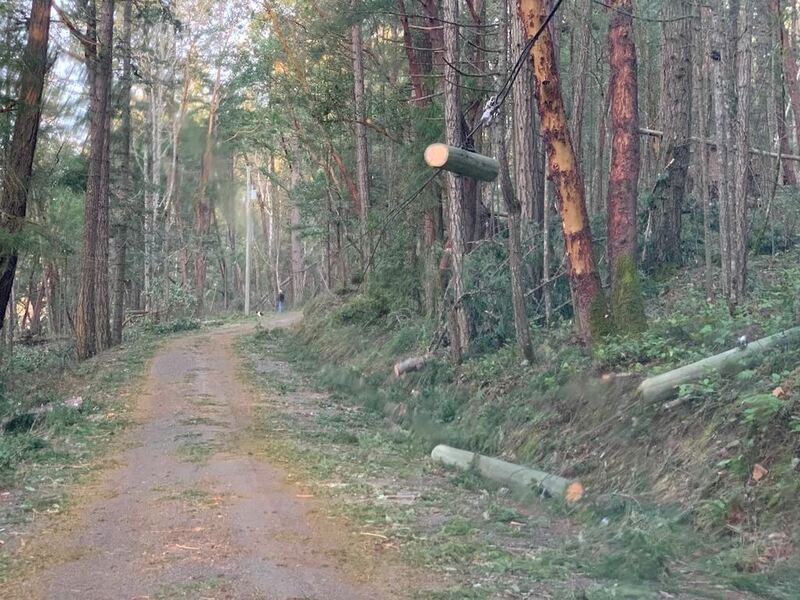 BC Hydro is reporting it will be a number of days before power is restored in many parts of the island. Ferries are running but require ship to shore power to operate ramps extending load and unload times and impacting schedules. High winds and water at Tsawwassen have that terminal operating at just 2 of 5 births with high tide and high wind water damage across the terminal. Boil water advisories are in effect for most island water systems with urgent call to limit water consumption while most water systems are on reserve. Long lines could be seen at local gas stations and groceries as residents lined up for fuel and water. 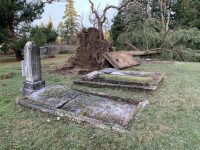 Residents should be prepared to spend many days without power.